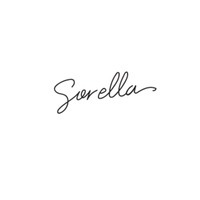 Sorella - HUGE SALE ONLY TODAY! ? 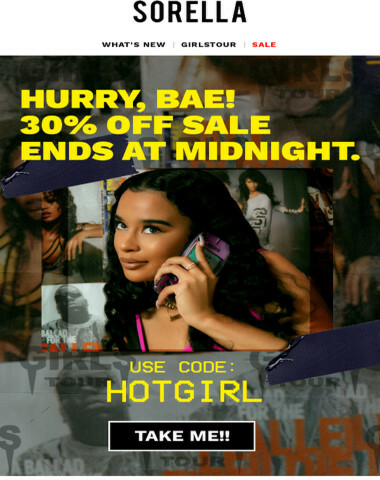 GET IN BEFORE IT'S TOO LATE! Sorella designer of edgy, branded women’s apparel & accessories. 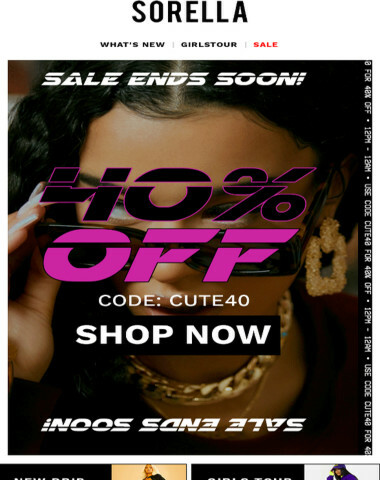 HUGE SALE ONLY TODAY! 😱 GET IN BEFORE IT'S TOO LATE! 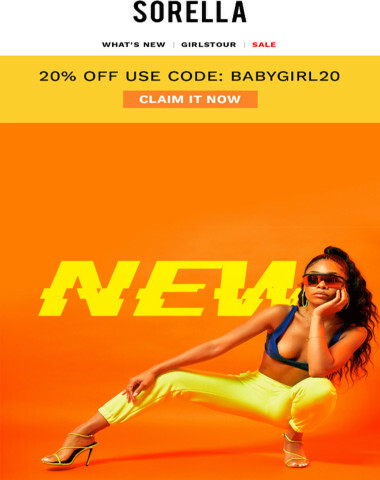 No longer want to receive these emails? You can Unsubscribe. 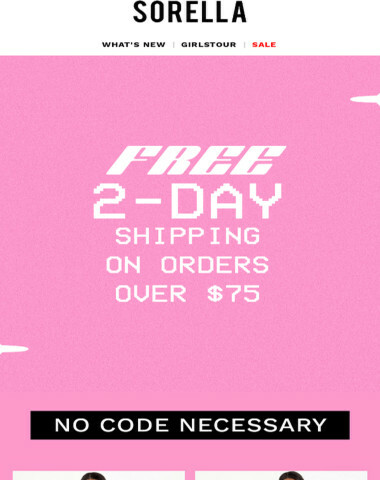 FREE 2-DAY SHIPPING ✈️? + NEW CUTE FINDS! ? 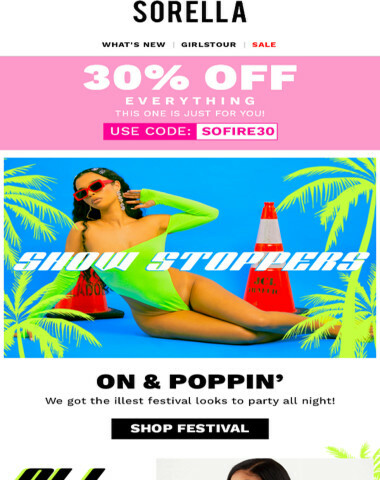 Let's Be Festie Besties?? ? 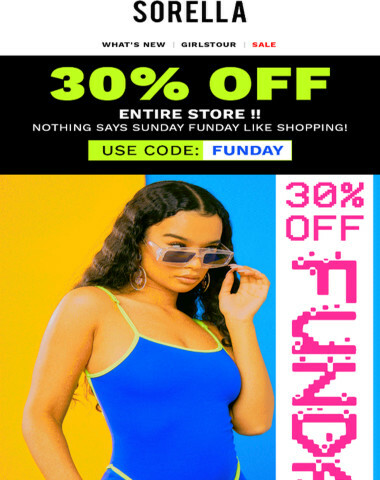 30% OFF INSIDE ? 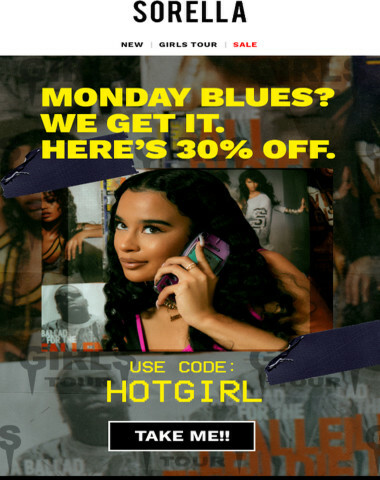 Mind Blowing Sale!! ? 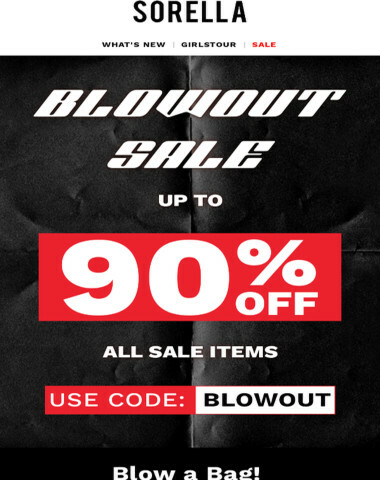 Up to 90% Off!! ?
? 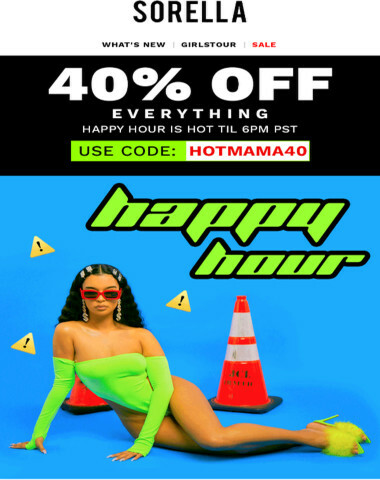 Hottest Happy Hour EVER ? 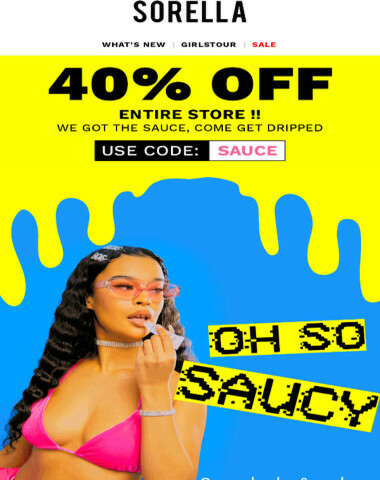 40% OFF ? 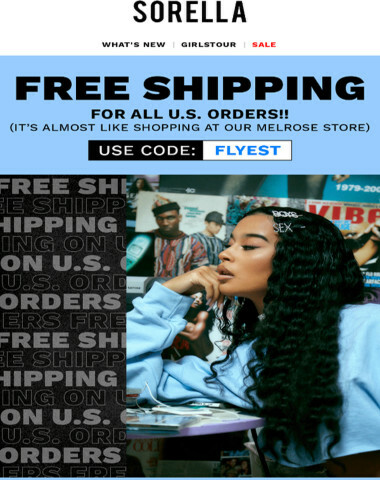 COME GET FLY ✈✈✈ + FREE U.S. SHIPPING! !